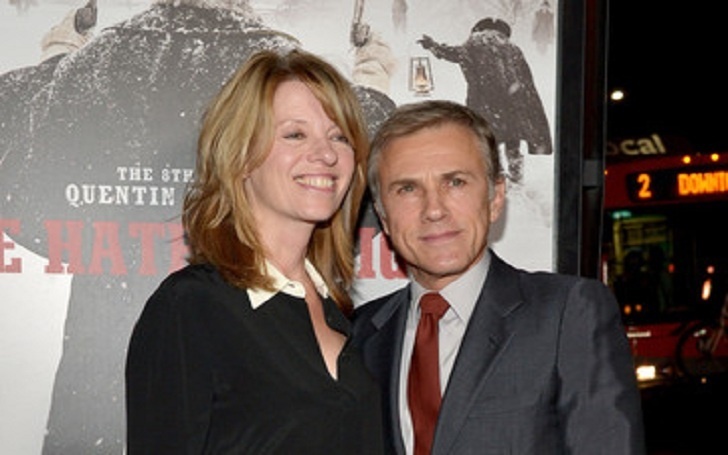 Christoph Waltz has made name for himself in the entertainment industry as a successful actor and director. The German-Austrian actor and filmmaker started out with acting before spreading his tentacles to the creative world of filmmaking. Waltz, in the course of his career, has garnered lots of awards and accolades including a Golden Globe Award, Academy Award, Screen Actors Guild Award and many more. Christoph’s work with popular filmmaker Quentin Tarantino which includes movies Inglourious Basterds, Django Unchained and others made him very popular in the industry as well as drew him attention from stakeholders. It will be interesting to find out more about Waltz. Here are lesser known facts about the actor and director. He was born on October 4, 1956, in Vienna to his parents; Johannes Waltz, father and Elizabeth Urbancic, mother. Waltz must have gotten his showbiz traits from his parents who were costume and set designers. More so, his maternal grandparents were also into showbiz. Waltz attended Max Reinhardt Seminar in Vienna where he studied acting. He also studied method acting in New York. After his training, Christoph made his way to stage performance and left an impact at various theatres. He graduated to television in the 80s and made several appearances that spoke volumes about his talent. Waltz went into directing in 2000, making his debut with Wenn man sich traut, a German production. Next, he worked with Quentin Tarantino to star in his breakthrough movie Inglourious Basterds (2009) as SS-Standartenfuhrer Hans Landa. His character also known as ‘The Jew Hunter’ earned him an award at the 2009 Cannes Film Festival for Best Actor and received critical acclaim from various stakeholders. Waltz was raised to a high pedestal among his counterparts for this singular Tarantino movie. He became the first actor to win an award from a Tarantino movie. The renowned filmmaker himself confessed that Inglourious Basterds came to life with the input from Christoph Waltz whom he described as indispensable for the character. A remarkable performance from the actor motivated Tarantino to specifically write the character of bounty hunter Dr. King Schultz in his 2012 Django Unchained. Before then, he played the role of a gangster in The Green Hornet (2011). Waltz’s character in Django Unchained earned him lots of accolades including The Golden Globe, BAFTA, as well as the Academy Award for Best Supporting Actor. He starred in Reykjavik, a movie based on the US and USSR peace talks in 1986. The actor and director then made his way to the main competition jury at the Canes Film Festival for the year 2013. More of his directionals include the opera Der Rosenkavalier at the Vlaamse Opera, in Antwerp, also in 2013. More movie appearances followed afterwards. Christoph starred in the James Bond movie Spectre in 2014. He played the character of Ernest Stavro Blofeld in the film. Before then, he played the character of Walter Keane in the biographical drama, Big Eyes directed by Tim Burton. Christoph Waltz sits on a net worth estimated at a whopping $20 million. This figure was amassed from his long list of acting and directorial works. So far, it has been a flourishing career for Waltz who has continued to excel in the business. Being a person of his calibre, it is almost impossible for the actor to keep his personal life away from the prying eyes of the media. However not much is know about his first wife but it is a known fact that the actor has three children with her. Waltz is married to Judith Holste, a costume designer. Together, they birthed a daughter in 2005. Christoph became a German citizen after his German father applied for his citizenship when he was born. The actor received his Austrian citizenship in the year 2010. Apart from the 2013 Canes Film Festival, Walz was also a jury at the 64th Berlin International Film Festival in the year 2014. Waltz, in 2017, made a return to Antwerp when he directed the opera production Falstaff. The talented actor and director speaks English, French, Italian and of course German, although he admits he is not so fluent in Italian.